As simple as the content of the article am going to write today seems, many people out there finds it difficult performing the actions required of them on this. As usual I shall make this as simple as possible. Before i proceed, I want to let you into the a brief status of qsat. This will help you determine if your case requires my guides here or not. 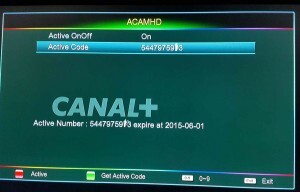 Canalsat / NSS 7 / SES4 22w: Is working on spycam codes only. Canalsat channels are currently more stable and you need to another dish in other to be able to track the channels since it you can get it on the small dst* dish you already have, Learn more on how to track canalsat channels here. As a Dongle user, it is a sin to just have only one internet network. The reason being that, once your only network fails, you cannot proceed until it is restored. It is also advisable for dongle package dongle users to have non-dongle alternatives or better still you need a non-dstv backup lik: IPTV, Powervu, Hotbird, European Cccam or even FTA. If you must have only one network, try and avoid a qsat non-compatible internet network. For example in Nigeria, etisalat has not been working well on qsat decoders for months. Also all our popular 4g networks in Nigeria are not qsat-compliant. so Nigerians, beware of etisalat adn 4g network on qsat. You should also be aware that, at times especially, when qat has been attacked by devil tv, when trying to come back, some qsat models will work and others may not work. But once their server is fully back, everything works. Finally; always know that qsat is unofficial and it is bound to fail at one point or the other. Once any qsat user, equip his or herself with the above, there would not be any specific problems about the performance of your qsat. Errror: My qsat refuses to display my code / expiration code no matter how hard i try all i get is “cannot connect to server please try again later” sometimes i get “server nack” Solutions: for cannot connect to server, please make sure you download the latest software compatible with your decoder. if you are using a spycam code download this latest software and also this. But if you are using a qsat model with a valid acam / avatarcam code, and you ignorantly loaded a spycam code on your decoder, your decoder will fail to connect to server all other things being equal until you downgrade your decoder to the avatarcam code software from the following links; Link 1 avatarcam software, link 2 avatarcam software, and link 3 avatarcam software. Error: I just successfully Loaded a compatible software into my qsat but my “xcam setup”seems to have disappeared help. Solutions: your xcam setup is hidden. to reveal it press menu>>setting>>okay button>>then dial 1512 on your remote. the xcam setup will appear. Error: I receive a network connection message, yet i cannot view my expiry date under xcam setup. Solution: As long as your software is the updated compatible one, please check your internet data or change your sim card. Always make sure you have a data bundle on your sim card. Error: I have done everything well and i can check my expiry date yet no channel is showing. Solutions: your internet is extremely slow, if you are in Nigeria, make sure you are not using etisalat, do not use 4g network as well.Finally make sure you have checked all scrambled channels one after the other an wait for at least 10 minutes on a particular channel before changing it. The got channels are ss3ni, ss5ni, ss2, ss9, mact, ngwld, scity, hiptv. Error: I receive a “Bad Signal” “Service “unavailable on some channels” Solutions:This is 100% hardware probem. In 95% of the cases, the cuprit is your anttenna / DISH, lNBF, LNB cable or Disecq switch. If any of these breaks down, you will get bad signal unless in extreme cases where power surge or thunder has damaged your decoder tuner(Make sure you test your dish with another decoder, if they work fine with it, take your qsat to a computer engineer to help you fix) As for service unavailable, please check that you scan using te correct satellite postions. For example qsat only works with the following position 68.5e Ku south Africa, 38e ku the rest of Africa. Then 22w. Therefore check your dish and frequecy. If possible delete all channels and rescan using the correct frequency. Error: I have everything in place, yet i cannot watch scrambled canalsat channels.Solutions:The reason for this is because you are using an avartarcam code. 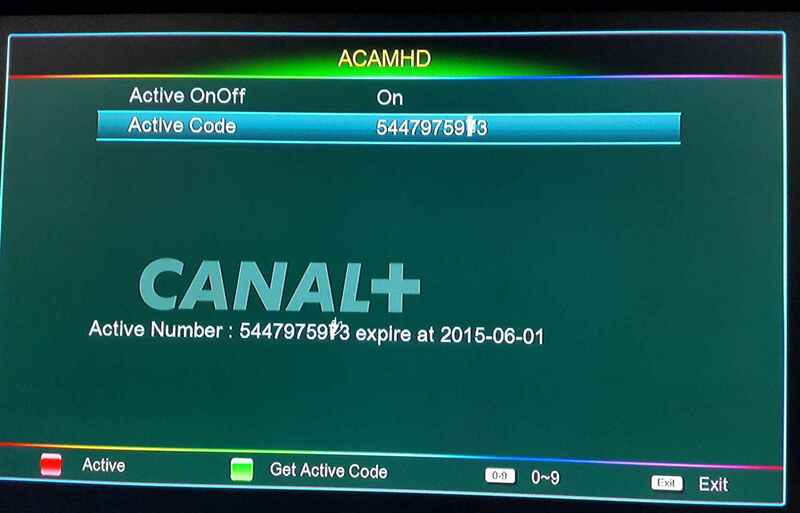 Only spycam codes opens canalsat. Error: I newly bought speed hd / q26g / q28g and it is not working at all. Solution: Please load the latest spycam software for it from my links at the beginning of this article, it will start working. Error: I have done everything right, yet my qsat is not showing. Infact it did not even show for 1 minute in 24 hours. Besides, my friend whom i help configure his, is using is own qsat current. As painful as this might be, it is a problem whic only qsat can solve am 100% certain your friend is not enjoying his dst* channels on his qsat. Solutions: wait until qsat solves this. Error: I watched some channels on qsat some hours ago, but now nothing is working and i have not tampered with anything. Solutions: visit www.lemmymorgan.com and read the comments to see if qsat is currently generally offline, call a friend or two to ask if theirs is working. If Nobody is currently watching channels on qsat, it means qsat is off. wait until it comes back. Error: I watched my qsat few minutes ago but no longer working and that of my friend / neighbor is working though my account expiration is displaying: Solutions; make sure you are not using an incompatible(for instance etisalt Nigeria sim will display expiry date but it wont welcome to server and nor open the channels). Now, switch of your decoder, disconnect your internet or change your internet, now switch on your decoder and manually reconnect your internet on qsat. To manually reconnect your internet, you will have to terminate your connection under setting>>Ethernet config. then reboot your decoder, put is in any of ss3ni, ss5ni, ss4, ss2, ss9, or any other one confirmed to be currently working. Leave it on that particular channel your qsat will eventually welcome to server unless your code range / series is offline on qsat server. For detailed help on how to setup / manually terminate internet connection on qsat, read this. Error: I have an avatarcam code but i want to watch canalsat channels what can i do?Solution; forfeit your avatrcam code by loading a spycam software on it and buy a spycam code. ERROR: I CAN NO LONGER WAIT, I WANT TO ENJOY CANALSAT AND THE FREEZING DST* CHANNELS THE WAY THEY ARE, BUT MY ACCOUNT IS NOT WELCOMING TO SERVER. WHAT CAN I DO? SOLUTION: BUY ANOTHER CODE AND LOAD IT, YOUR QSAT WILL KICK BACK TO LIFE!!! While i try to cover everything, i may still be missing vital information. You can lay your complaints in the comment section below. There is a side attraction; Gsky now opens 90% of all the premium channels on hotbird package including beinsports, skysports(not UK), and canal+ HD channels. Details is going to be in my next article.